One of the things I do every week is cook up LOTS of chicken breast to freeze for meals during the week. It just makes life so much easier! I created this Easy Cheesy Layered Chicken Breast Recipe with that chicken this last week and it was a definite hit for adding to my Budget Friendly Meals rotation! This is one of those easy chicken breast recipes few ingredients needed! Like only six…those are the kind I like to fix. 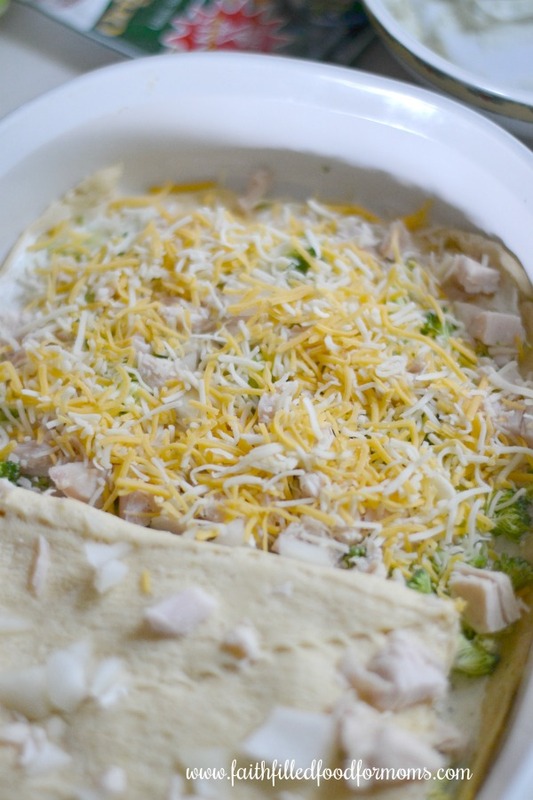 4 Creating easy chicken recipes for kids is my jam! 6 You may also enjoy this Layered Beef Bake! 2 tsp. 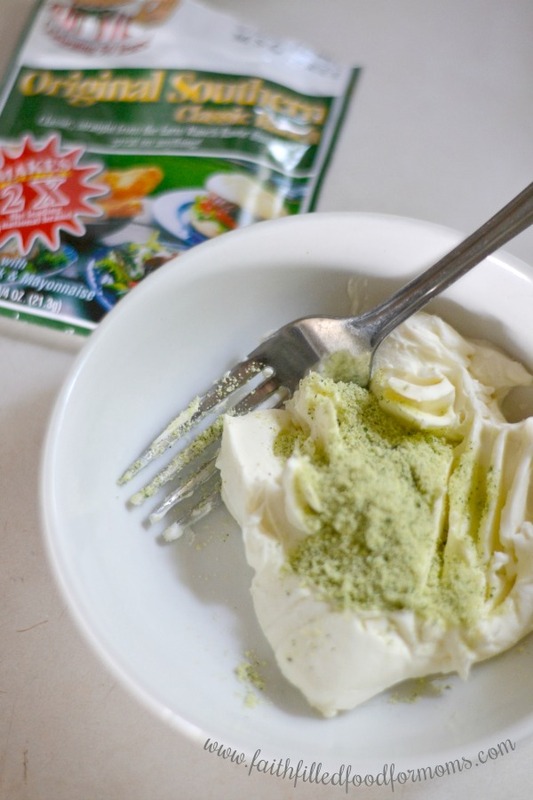 Dry Ranch Dressing Mix ~ Uncle Dan’s Original Classic is the absolute BEST but use any kind you like. 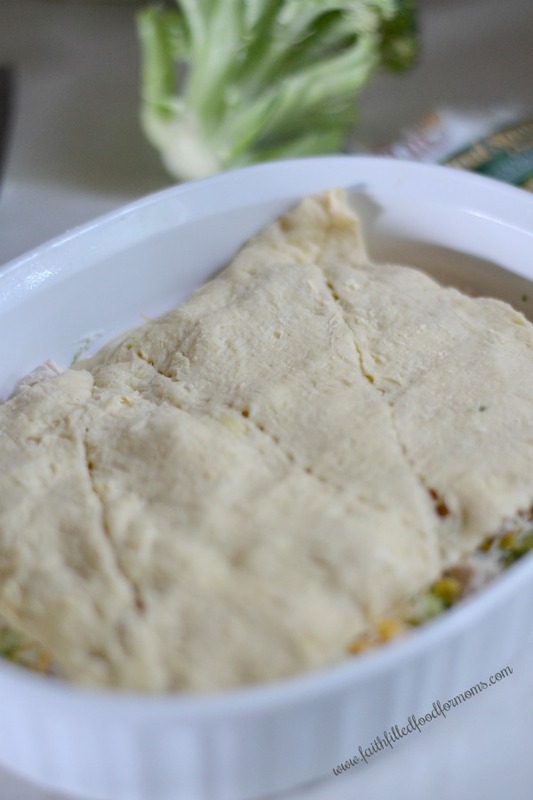 In a 9×13 Casserole dish press down one can of Crescent Rolls. 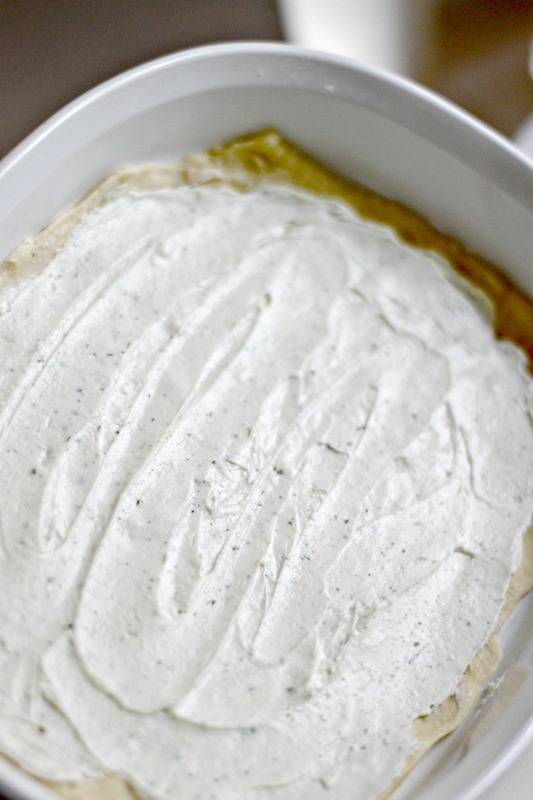 Mix your dry Ranch Dressing mix with your softened Cream Cheese. Spread Cream Cheese mixture on the Crescent rolls. Now simply top with Chicken, Broccoli and Onion. 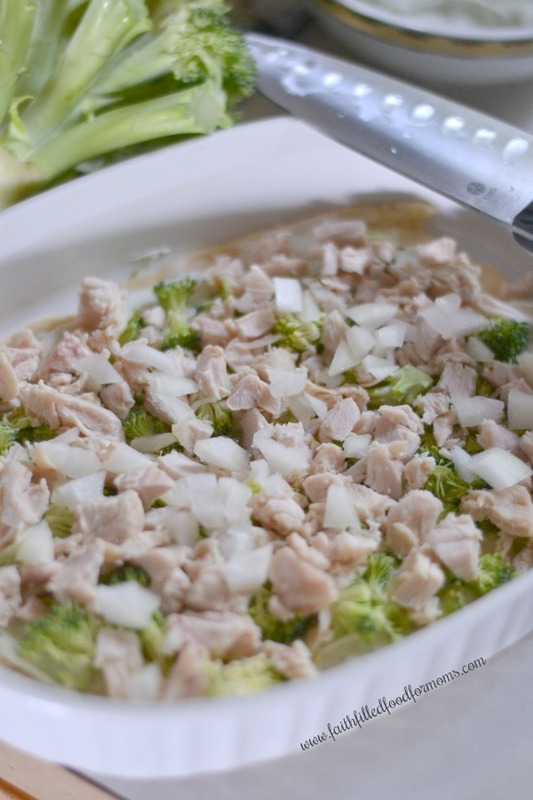 Broccoli and Onion are optional but add great flavor. You could actually add any kind of veggie you like at this point! Add you cheese now! Any kind you like! 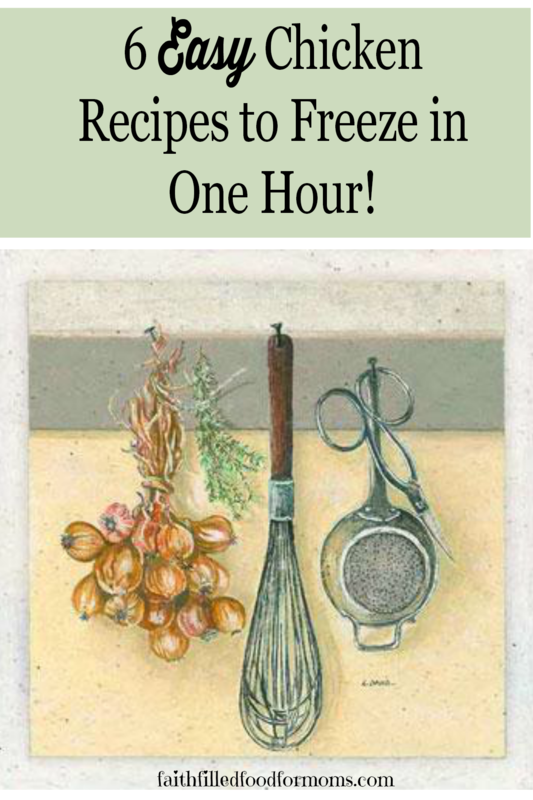 I had Mexican Blend on hand and use that! Top with remaining can of Crescent Rolls. I don’t press the top “blanky” down. 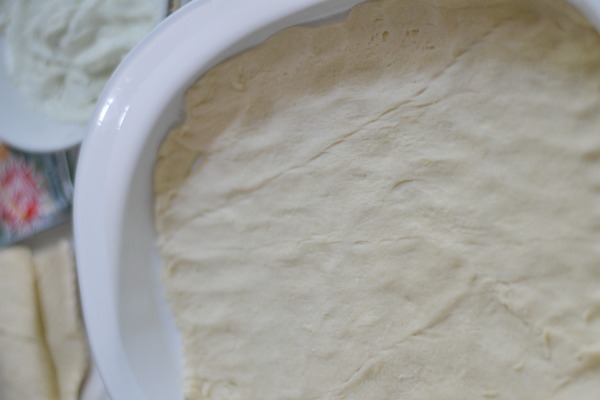 I simply roll out and then gently put on top and gently stretch over the toppings. Pinch together any big gaps but don’t worry about little openings. Bake at 375 for 20 min. Watch to make sure the top doesn’t burn. Remember the Chicken is already cooked so you don’t have to worry about the chicken being done. I also sprinkled Parmesan Cheese on top before putting into the oven…but that’s totally optional. All in all this took about 30 minutes to prepare since the chicken was already cooked! Making this a super quick easy meal!! 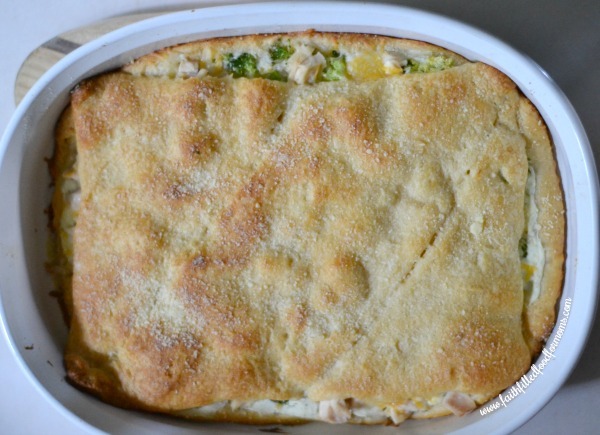 This is definitely one of our new favorite easy chicken casserole recipes! Creating easy chicken recipes for kids is my jam! If the broccoli is too much then you can always leave it out! Most of the recipes I make are very kid friendly. You can keep the veggies in the recipes, on the side or you can not get them near the table for those picky eaters! Easy peasy! 2 tsp Dry Ranch Dressing Mix Uncle Dan's is BEST! 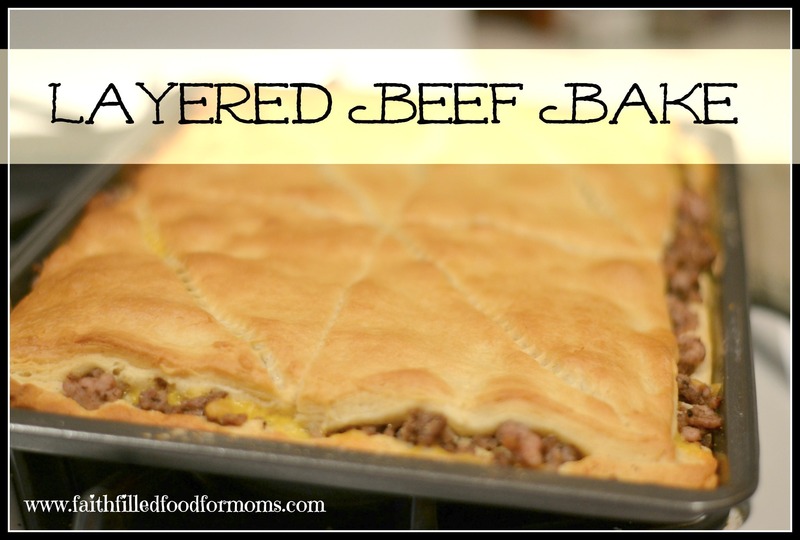 You may also enjoy this Layered Beef Bake! « 17 Super Cute Swimsuits to Make Moms Feel Beautiful!